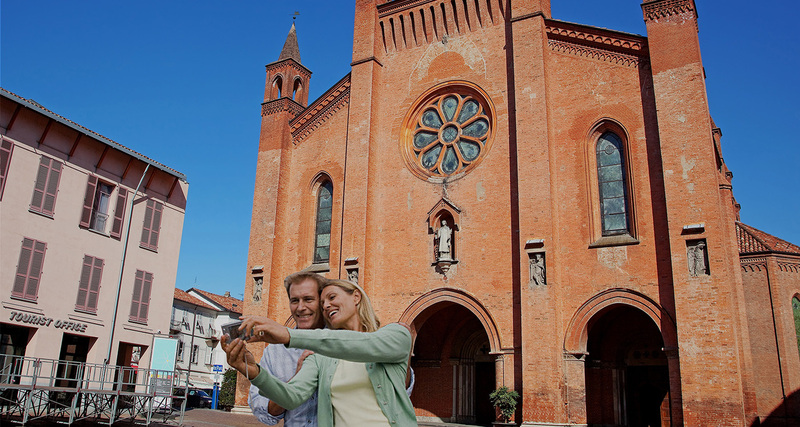 The town of ALBA is famous for its gastronomic specialties, nevertheless it can be also destination of a tourist itinerary to the search of its architectural beauties. Despite the course of the time, ALBA has succeeded in preserving a medieval charm, that make it one of the most beautiful Piedmontese towns. Of the famous ones "100 towers", they stay only from there few to our days, nevertheless they all it takes is for making the idea of its ancient architectural beauty. To begin to visit it making a tourist itinerary, you must be departed by its historical center, particularly in street Cavour, contained by ancient medieval buildings, what the Tower Artesian and the Merchants' Loggia. Arrived in Cathedral plaza, we find you the imposing and suggestive Cathedral of S.Lawrence, going up again to the medievo, of which the thirteenth-century bell tower and the Romanesque style can be admired. Near the plaza, not to also lose the Church of S.Domenico, built in the XIII° century from the Dominicans note and from the Gothic style, with following remaking between the XVII° and XVIII° century. Continuing then for street Vittorio Emanuele (or "Street Teacher"), he reaches Savona plaza, where we find a more dawn "recent" with its suggestive buildings to porticos of nineteenth-century origin. A visit also deserves the Church of S.Joseph, in the zone of the Suburb of S.Lawrence, in whose underground it is possible to effect an archaeological run that brings to advance in ancient rests of Roman buildings. During the tour we can agree to have lunch in one of the restaurant of the old town to taste the delicious food and wine specialty of the territory.